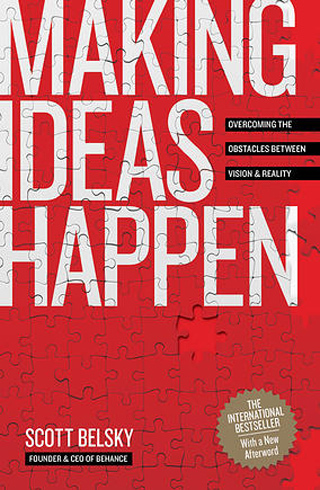 Adobe's Chief Product Officer and Executive VP of the Creative Cloud on Making Ideas Happen. As leaders become immersed in their products and businesses, they become more focused on the customers they have and less on those they don’t. This natural tendency to gravitate towards your best customers handicaps your ability to build and sustain increasingly inclusive products and services. History is full of companies that failed to sustain their focus on new customers and suffered as a result. If you aspire to engage millions (or hundreds of millions) of people, you must defy this tendency to prioritize features for your best customers at the expense of the “first mile” of product experience. 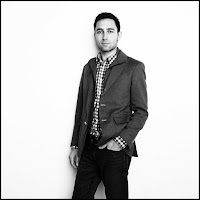 In this session, Scott Belsky explores the psychology of customers during their initial use of a new product or service and the common obstacles and strategies a team must employ to successful scale a product - and business - over time. The beginning and the end of a creative project or new company get all the headlines and fanfare, but the magic happens in the less understood "journey in-between.” In this session, Scott Belsky breaks down a bold journey from start to finish, chronicling the essential insights of great leaders and teams during the four phases of every venture: Start, Endurance, Optimization, and Finish. Learn the counter-intuitive and often uncomfortable realizations needed to survive the roller-coaster of anonymity, team development, product iteration, and grit required to push ideas to fruition. Whether it is a bold new project, an entrepreneurial pursuit, or an effort to create a new initiative within a large organization, these insights help teams endure the journey and optimize along the way. Great ideas only see the light of day when creative people and teams are able to get organized, harness the forces of community, and become better leaders of themselves and others. After years of research, Scott Belsky and his team at Behance have found a series of best practices common across some of the world's most productive creative people and teams. Scott is the author of the national bestselling book "Making Ideas Happen" (Penguin Books, April 2010) and leads Behance, the world's largest online platform of creative professionals. In 2012, Scott became Adobe's Vice President of Product/Community after Adobe's acquisition of Behance. In this session, Scott will share insights and practical tips that you can use to push bold creative projects to completion. 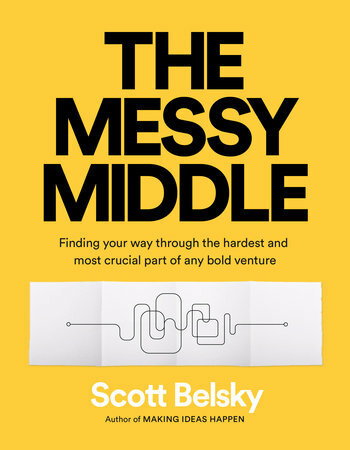 Scott is the author of Making Ideas Happen: Overcoming the Obstacles Between Vision and Reality (2010) and The Messy Middle: Finding Your Way Through the Hardest and Most Crucial Part of Any Bold Venture (2018).